If your motorcycle journey doesn’t require premium aluminium cases and storage space is only needed once in a while, you should consider buying saddlebags. 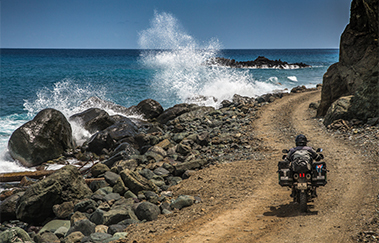 Saddlebags are a low-cost alternative, especially for motorcycles that can’t hold a carrier. Textile saddlebags feature a light weight construction and guarantee secure and easy mounting. 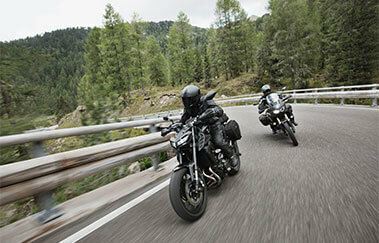 BLAZE: offers an innovative way to mount soft saddlebags on sportive motorcycles. The system features bike-specific mounting arms that detach quickly to retain the look of the bike when the bags are removed. 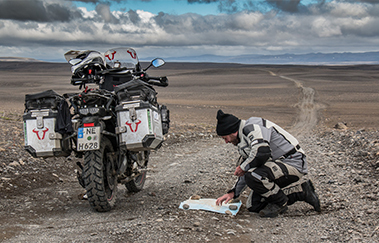 DAKAR: panniers are built to survive in the roughest conditions. 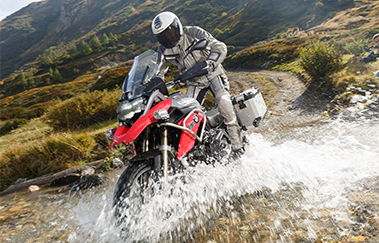 The waterproof saddlebags offer generous storage space and are available as bike-specific version with panniers or as universal version with straps. Legend Gear: made from waxed canvas and Napalon synthetic leather, Legend Gear classic soft luggage is designed for classic bikes, scramblers, café racer und chopper. SLC side carrier easily installs on the bike for mounting Legend Gear side bags LC1 and LC2 while motorcycles with a straight bench seat and passenger seat carry universal saddlebags LS1 and LS2. Legend Gear saddle bag LS2 13.5 l. For Legend Gear saddle strap SLS. 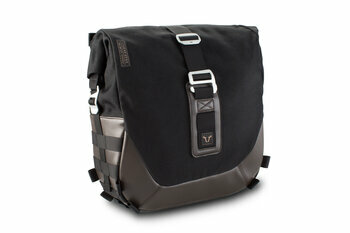 BLAZE H saddlebag set Black/Grey. Kawasaki Z900 (16-).